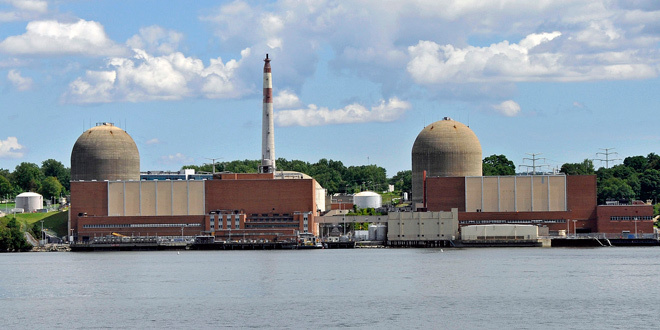 The economic and environmental challenges of replacing Indian Point are formidable. So are the grid reliability challenges. Any attempt to minimize these impacts is a disservice to New Yorkers who face, at best, an uncertain energy future due to rising prices, higher carbon and other toxic emissions, and lower grid reliability. For more than 40 years, Indian Point has been the backbone of New York’s electricity system. It generates 2,069 MW of power, providing 25% of the electricity for New York City and the surrounding region. In fact, the plant generates enough power for 2 million New York homes and the same amount typically produced by four or five natural gas natural plants. Except for scheduled refueling outages, it generates baseload power 90% of the time, with no emissions. Even though we have up to four years to replace Indian Point’s power, it is very difficult to get anything approved and built in New York, including renewable energy facilities, in such a relatively short period of time. Replacing the supply of Indian Point’s power to meet the growing demand for electricity in New York will not be easy. But it is not only the resulting supply gap that puts upward pressure on electric power prices. Improvements in the transmission grid necessary to bring new power to New Yorkers will be enormously expensive. Such infrastructure investments are particularly necessary and costly if the power must be transported over long distances, or if there is greater reliance on intermittent renewable power sources. Other power sources are also subject to sharp price fluctuations. During the hottest days of the summer and the coldest of the winter, it is difficult for New York to get sufficient amounts of out-of-state natural gas, which also drives up prices at these critical times. Also, the massive amount of renewable energy power needed to replace Indian Point is daunting and simply not practical. Replacing 1,000 MW, less than half of Indian Point’s generation, with solar power requires 45 to 75 square miles of land and 260 to 360 square miles for wind power. For perspective, Manhattan is only 22.8 square miles of land. Indian Point also generates tremendous amounts of electricity with nearly zero carbon or other toxic emissions. The other critical question is not if toxic emissions will increase when Indian Point closes, but by how much. California, Florida, Wisconsin and Vermont have all experienced greater reliance on fossil fuels and very significant increases in pollution after closing nuclear power plants. New York is fortunate that Indian Point will be operating until 2021. In fact, were the plant to close today, the state’s grid would not be reliable, according to NYISO. The costs of blackouts are enormous. The New York City comptroller found that the 2003 blackout cost the city more than $1 billion in lost wages, spoiled food and other costs. Blackouts are also a danger to public health. Researchers from Johns Hopkins University also studied the 2003 blackout and documented that it resulted in 90 deaths. Looking beyond the societal and economic costs of daylong blackouts, having an unreliable grid will make New York a very unattractive place to do business, especially for companies that are high-intensity users of electricity, such as manufacturers and high-tech companies. Plans by state policymakers to address the issues resulting from the early shutdown of Indian Point should be transparent and thoughtful. Input from affected communities and organized labor are a must. We must address both environmental and economic issues to minimize adverse impacts on the regional economy and the ecology. Believing that Indian Point’s power can simply be replaced by energy efficiency or an enormous increase in renewables is not realistic. New York consumers and businesses need to brace for the impact that Indian Point’s closing will have and be fully and clearly informed of what the impact will be in terms of monthly electric utility bills, air quality, and grid reliability. Rob DiFrancesco is the executive director of the New York Affordable Reliable Electricity Alliance (New York AREA), a diverse organization of major business, labor, and community groups including Entergy, the owner-operator of Indian Point. Founded in 2003, New York AREA’s mission is to ensure that New York has an ample and reliable electricity supply, and economic prosperity for years to come.